Are you worried your expensive appliances are on their last leg? Contact our team of skilled repairmen at Mr. Appliance® for professional appliance services throughout Castle Rock. We will work around your schedule to provide affordable services with upfront pricing. Dishwashers, refrigerators, washing machines, garbage disposals, microwaves—our team can handle it all! Since 1996, our company’s commitment to quality and excellence has made a name for itself. Mr. Appliance is there for you. Schedule your services today! Positive impact is our goal as our company grows and we meet the needs of more and more customers. Little differences like utilizing technology to reduce our environmental impact can make a big effect later on. Likewise, small things like treating our customer respectfully and cleaning up our workstation make all the difference and set us apart from financially-focused repair services. Don’t settle for a repair service that treats you poorly and surprises you with hidden fees! Call a Castle Rock appliance technician from Mr. Appliance today. Work With Mr. Appliance Today. Call (303) 816-3802! As a leading appliance repair franchise in North America, we pride ourselves on our ability to guarantee the quality of service you will receive as well as our workmanship and appliance parts. 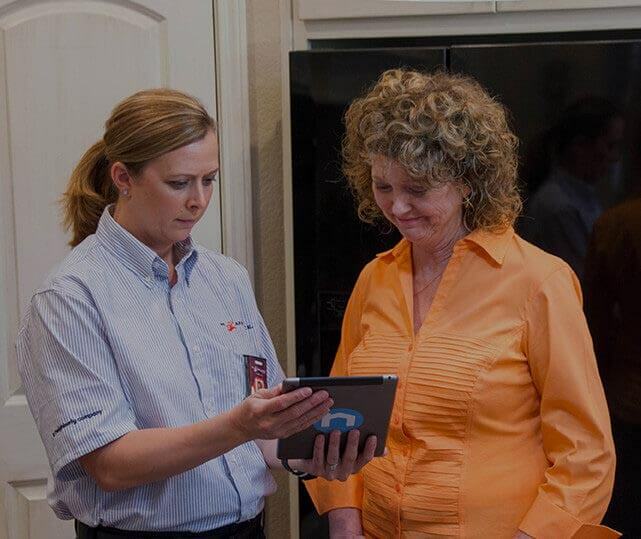 Whatever problem you are having with your appliances, you can trust that our team will be equipped to solve it and will maintain honest communication with you throughout the process. Don’t wait to get the help you need! For your convenience, we are available seven days a week and can work around your schedule. Call our Douglas County location for more information or an initial estimate! For professional appliance repair in Castle Rock, call (303) 816-3802! $20 OFF Any Appliance Repair (over $100) Not valid with any other offers or for diagnostic fee. Valid at participating locations only. Limit one. Locally owned and independently operated franchise. 10% OFF Active Duty or Military Veterans (over $100) Not valid with any other offers or for diagnostic fee. Valid at participating locations only. Limit one. Locally owned and independently operated franchise. 10% OFF Senior Discount (over $100) Not valid with any other offers or for diagnostic fee. Valid at participating locations only. Limit one. Locally owned and independently operated franchise.